We know at once that this will be a novel about the irreversibility of time; about memory, its importance, its fallibility and the difficulty of reconstructing the past accurately; about history; about families and their intergenerational differences; and perhaps about the persistence of family traits. The blurb calls it a “moving multigenerational family saga” which is more-or-less true, but that word “saga” is likely to arouse the wrong sort of expectations. Nowadays, the idea of a novel as “saga” tends to bring to mind the sort of fat American pop novel that trades in soap opera. Obviously All This by Chance is not that sort of novel. With very close attention to detail (both physical and historical), with clear-sightedness about how different generations think, this novel is serious and considered in what it says about the coalescence of past and present. 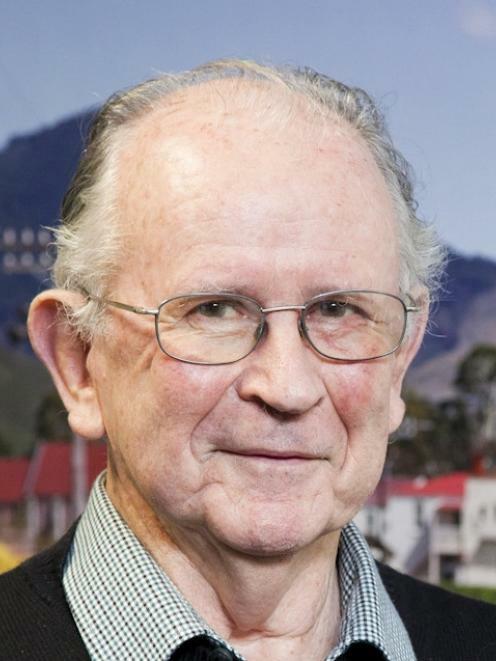 In 1947, the young New Zealander Stephen Ross goes to London to train as a pharmacist. He meets and marries Eva, and brings her back to New Zealand to raise a family. We are soon made aware that though she has been brought up by an English family, and though she thinks of herself as English, Eva is of European Jewish parentage and was apparently one of those who, years before, escaped Hitler via something like the Kindertransport. But the key point is that she has no desire to know anything about her Jewish heritage, preferring to keep her early past forgotten and buried and to live in the present. Stephen tacitly goes along with this arrangement. In coming to New Zealand, however, they are joined by Eva’s aunt “Babcia” (Ruth) who is only too willing to recall Eva’s and her own past. So there is a tension between mental repression on the one hand and being willing to confront a disquieting past on the other. How Eva and Stephen deal with the past produces opposite reactions in their two children Lisa and David. As they grow, Lisa appears to show no interest in her mother’s background, while David chooses to identify, rather zealously, with his Jewish forbears. A really good novel cannot be reduced to a synopsis, especially a synopsis as inadequate as this, in which I have said little more than the blurb says. All This by Chance consists of nine long chapters (most of them almost the length of a novella) which progress from the 1940s to the 21st century before doubling back into earlier history. This takes us through three generations - Eva and Stephen, their grown children and grown grandchildren - with quite a number of important additional characters. In this respect, it is a novel that has to be read with close attention as we remind ourselves who has what relationship with whom. Perhaps because the profusion of names could be confusing, a list of ten major characters is given at the beginning, with the birthdates of each. I stick to my credo that it is unmannerly to give away too much of the “plot” of a new novel in a review, as the author has the right to expect that readers are not forewarned of twists and surprises. I can, however, indicate the novel’s implicit ideas, even if a novel as closely written as this one is not a string of simple “messages”. In the most general possible sense, this is a “Holocaust” novel. A friend of Aunt Babcia, a Jehovah’s Witness called Ellen McGovern, gives Stephen a version of how they just managed to exist in Ravensbruck concentration camp in the later stages of the war. That Vincent O’Sullivan has put this narrative into the mouth of a Gentile may indicate his desire not to presume, as a Gentile, to speak in a Jewish voice. That Eva, who was spared such horrors, prefers not to know about these things may indicate a form of “survivor guilt”. Such repression has lethal consequences. At least one major thread of the novel is the idea that the past is inescapable, and as soon as we recognise our connection with the past, it becomes part of our present, part of our being. Late in the novel, a character searches for the site of her forbears’ home and concludes that it “was” probably in a location that she is examining. She adds “to say so much as ‘was’ is surely to say it in the present: the past is here or not at all” (p.303). This could be the novel’s epigraph. I do not believe Vincent O’Sullivan is giving us L’Eternel Retour or the simple mythical notion of history as an ever-repeating cycle; but he is indicating how much we are shaped by all those family legends, insinuations, attitudes and covert references to the past, which will somehow percolate through generations of any family. In turn, this suggests the necessity of family, of community and of awareness of the past for true, balanced adult mental health. The absence of such solidarity can lead to a crushing sense of loneliness and alienation, as expressed most fully in the chapter where a character finds herself doing medical work in a Catholic mission in Africa, far from her roots and familiar culture. (Again, I strive not to give away plot details here.) For some, fulfilling solidarity can be found in religious belief. In this novel, there is an unresolved jostle between those who find meaning and fulfilment as agnostics (“brought up without sin” as one character puts it – p.54) and those who find meaning only in religious belief – the Jewish religion that skips one generation and returns in another; the nuns at the Catholic mission; the devout Jehovah’s Witness who maintains her belief through Ravensbruck. Like the matter of the recurrence of family traits, the religious element (which is not foregrounded in the novel) could suggest a discernible “pattern” in history, a teleological view of things moving to a predetermined end. 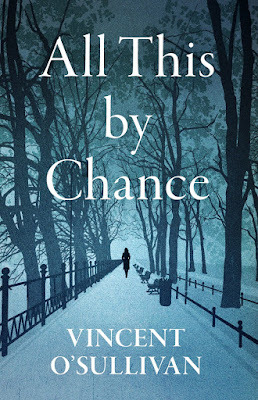 But this is denied by the novel’s title – All This by Chance. Or is it? I’m still undecided about how ironical O’Sullivan intended his title to be. If these weighty matters seem to me to be the main things the novel addresses, there are other, and more specifically New Zealand, issues. Remember, we begin with a callow young New Zealander going off to do his London OE in 1947. 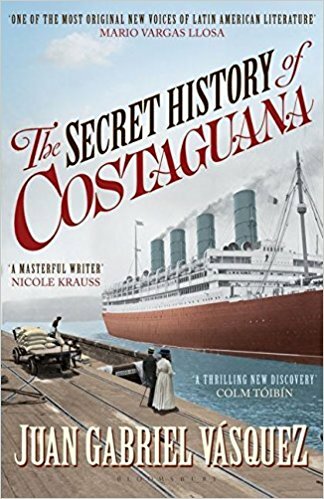 Escaping from a country he sees as bland, boring and uneventful, Stephen has his “first proof that there was somewhere else” when he passes through the Panama Canal. In England, Stephen has a sense of his own unimportance, recalling “the emptiness of standing in the last paddock before the sea” (p.48) on his parents’ New Zealand farm. Comparing himself with a woman raised in Europe, he reflects “how packed Eva’s early life seemed when… compared with what little he offered in return.” (p.49) This is in part cultural cringe, but it is also typical of an earlier generation of young New Zealanders, who saw a journey to Europe as a big and possibly daunting adventure, and who believed that “real” history always happened elsewhere. By contrast, in the late 1960s, Stephen’s daughter Lisa is holidaying in Greece with her sometime boyfriend, the very dodgy Fergus. Even though the colonels’ coup is going on in the background, Lisa and Fergus have an almost flippant attitude to Europe and its culture, a tourists’ view centred on beaches and restaurants and bars rather than ancient cultural glories. Fergus has a flippant attitude to New Zealand, too, coming up with the tiresome cliché line that New Zealanders are “puritans all over.” (p.79) The contrast between these two generations of kiwi travellers says something about cultural shift in New Zealand, perhaps growing cultural confidence, perhaps simply that air travel by the late 1960s had made Europe more cheaply accessible and hence less mysterious and daunting. In a larger sense, there is a more all-embracing critique of (Pakeha) New Zealanders implicit in this novel. Much of the "myth" of New Zealand has depended on the idea of a society that was built without importing the anxieties and class distinctions of old Britain or old Europe - a blank slate on which could be founded a secular society which would successively become "the social laboratory of the world", "the first to grant women the vote", and would have "the best race relations in the world" - an easy-going, egalitarian, tolerant society not haunted by the anxieties of deeper history. All This by Chance reminds that everybody who immigrated here carried a shadow of the past . Our ethnic, religious, social and class heritage was in our genes. There are no societies that are blank slates. Denoting change as if he is taking soundings of the Zeitgeist, O’Sullivan writes with great precision of detail. In the opening chapters, the “stink” and straitened mores of austerity, post-war 1940s England; later the comforting delusions of tourists in Greece in the 1960s, seeing themselves as rebels when they are simply playing out hedonism ; fine details such as Auckland’s Ponsonby as it was before it was massively gentrified, and the changing décor of Ponsonby’s coffee bars and tea rooms; even something like the detailed description of an Australian apiarist rebuilding a beehive after first pacifying the bees. Both the density of the prose and the author’s close attention to physical detail suggest a poetic sensibility (of course! ), but also draw us more closely into the characters and the dilemmas they face in their particular times and places. I’m intrigued, too, by the shifting use of tenses in the novel, sometimes past, sometimes present, especially in the second-to-last chapter where the use of the present sense shows how much a character has come to identifying with a buried past. One final thought – this three-generations-spanning novel coheres as a single narrative but, as the novel’s very opening paragraph puts it, the past can be seen as “fragments chipped from a mosaic.” Some chapters could, with few modifications, almost be read as self-contained narratives, but always with that concern for family and solidarity that put me in mind of O’Sullivan’s last collection of short stories The Families (2014, reviewed on this blog). Structure and style combine to let us feel for these characters, empathise with them in the large historical processes in which their individual lives are caught. This is a great novel – a masterly weaving together of different stories that have the same focal point. It can’t all be by chance. There may be some diligent readers who are methodical in the way they approach books. Settling upon a particular subject, they will, like good students, systematically read their way through all the books they can find on that subject until they are really well-informed about it. I confess that, much as I aspire to read that way, I have never (except when pursuing academic degrees or researching books of my own) been that sort of reader. The key to my reading life has always been serendipity. One book leads to another without system or order. Consider how I got to read Chinua Achebe’s Things Fall Apart. As you can see from earlier postings, I had read Joseph Conrad’s Heart of Darkness. I was aware that Chinua Achebe was an African writer who had criticised Conrad for his perceived “racism”, but this did not lead me to read Achebe’s Things Fall Apart at once. Instead I read another novel set in Africa, the American Barbara Kingsolver’s The Poisonwood Bible. This in turn led me to think about my woeful ignorance of Africa (which I have never visited). I also reflected that just about every book I had read about Africa had been written by a white person. This was certainly true of the ones upon which I had commented on this blog, ranging from John Buchan’s antique racist fantasy Prester John to Paul Theroux’s travel book The Last Train to Zona Verde and his novel The Lower River, to the British historian Martin Meredith’s account of post-colonial Africa, The State of Africa. So at last my brain told me it was time to read a novel about Africa by a black African writer. 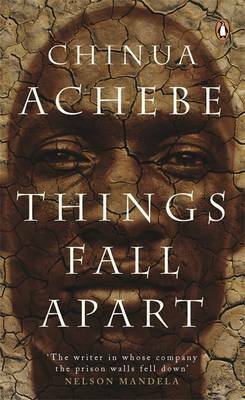 Where better to start than Things Fall Apart? Since it was first published in 1958, Things Fall Apart has been described repeatedly as the first real novel by an African of the modern era. This may not be strictly true (some of Achebe’s fellow Nigerians published novels in the earlier 1950s, such as Amos Tutuola’s The Palm-Wine Drinkard); but it is true that Things Fall Apart has outsold, worldwide, all other African novels and has had a greater impact than any other, often suffering the dubious fate of being taught as a school text. Chinua Achebe (1930-2013) wrote it when he was in his twenties and when he had for some years been working as a teacher and a broadcaster for the (British colonial) Nigerian radio service. Drawing its title from Yeats’ “The Second Coming” (“Things fall apart; the centre cannot hold; Mere anarchy is loosed upon the world”), the novel concerns itself with the impact of colonialism on a traditional African society in the late nineteenth century, and the disintegration of that traditional society. 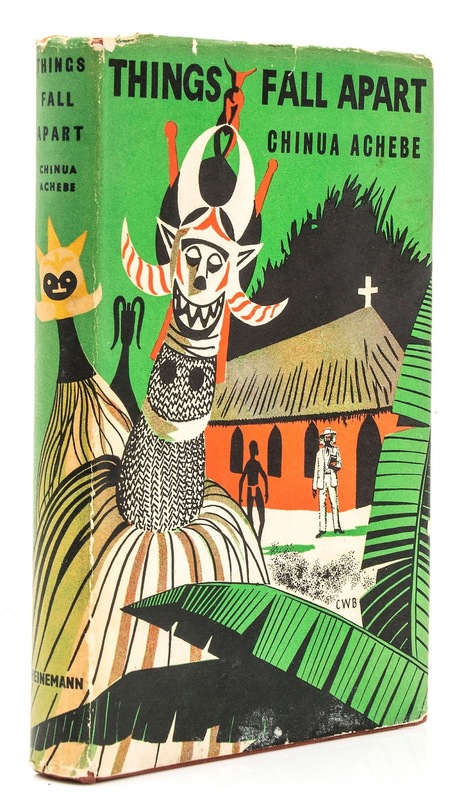 For nearly two-thirds of its length, this short novel (c.150 pages in Penguin Modern Classics) depicts pre-colonial Igbo village life. (The novel was written when “Igbo” was written as “Ibo”, so the people are referred to as “Ibo” in the novel.) Only in the last third do first British Christian missionaries, then British colonial administrators, arrive and the society falls apart. To speak of “plot” in the conventional sense is pointless. Things Fall Apart presents a situation rather than a plot. Its protagonist Okinkwo is a “big man” in an Igbo clan comprising nine villages. He has proven his prowess as a wrestler and as a warrior, he is prosperous and he has three wives. But when he unintentionally kills a younger member of his clan, he is (at the end of the novel’s long first part) cast out of his home village of Umuofia and banished for seven years to another village. When he returns to Umuofia after seven years, Christian missionaries have arrived and are beginning to make an impact. Traditional Igbo society is under threat. I’m sure it had no influence on Chinua Achebe, but this structure is a little like Washington Irving’s satirical tale Rip Van Winkle. Man disappears from a society for years and returns to find how it has changed. 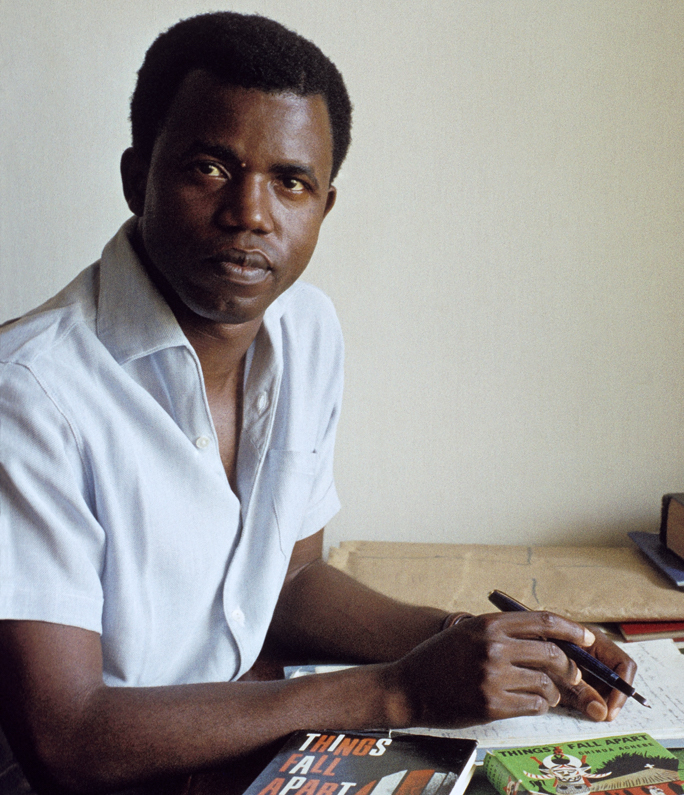 In much of the novel, Achebe gives us what amount to neutral anthropological observations of the customs of this society, such as the dramatisation of hagglings over a “bride price” or dowry (Chapter 8); or the full account of the ceremonial acceptance of a bride into a family (Chapter 12); or the detailed description of an Igbo funeral (Chapter 13). Yet customs include the right of elders to condemn to death those who do not fit in. Okinkwo obeys the edict of elders and particpates in the killing of his adoptive son Ikemefuna. When one wife keeps giving birth to children who die in infancy, the medicine man who investigates says, as according to tribal beliefs, that they are evil spirits who will keep getting reborn in human form. So he mutilates the corpse of the newly-dead child and drags it into the “evil forest” to prevent it from rising again. It is taken for granted that twins are evil, so newborn twins are taken to the forest and killed. This is a complex and cohesive society. It is not a Utopian daydream of harmony with nature or a vision of pre-industrial Arcadian bliss. None of this is designed to herald British colonisers as a “civilising” force. It is simply to show us that pre-colonial Igbo society had its tensions and dissenters as all societies do – and yet I do wonder if Achebe inserted these passages in part to “modernise” his characters and their sensibilities, and therefore to make them more sympathetic to the modern reader. Even so, following Achebe’s own account, we can see why Christianity would have a great appeal for the less powerful and more mistreated members of Igbo society. When the first Igbo convert to Christianity, we are told: “none of the converts was a man whose word was heeded in the assembly of the people. None of them was a man of title. They were mostly the kind of people who were called efuefu, worthless, empty men. The imagery of an efuefu in the language of the clan was a man who sold his matchet and wore the sheath to battle.” (Chapter 16) In other words, as in the Roman Empire, those most attracted to the new religion were the more marginalised and powerless people. One early convert is Nwoye, the son whom Okonkwo despises for being weak, cowardly and womanly. Another is a pregnant woman who has been through the experience of having her twins killed according to tribal custom. Achebe is aware that not all Christian missionaries are equally destructive. (As the son of Christian parents who acted as evangelists for the Anglican church, Achebe understood the attractions and complexities of the new faith system.) Brown, the first white missionary to attempt to evangelise Umuofia, is a temperate man who discusses the local religion with the “big men” of the clan, and they get to ask awkward questions comparing their theology with his theology. Brown is genuinely interested in the local culture and does not encourage any frontal attack on the unconverted by his more zealous converts. Brown’s ideal form of evangelisation is what would later be called “inculturation”. But the parson who replaces him, Smith, is more intransigent, preaching hellfire, damning all heathenism and encouraging confrontations which end in tragedy and bloodshed. And the missionaries are backed up by colonial courts which use force, and judge by European laws and customs rather than local ones. If I were to pick out one scene in this novel that epitomises the whole, it would be in Chapter 10, where there is an account of how the “spirits” of the tribe appear before the assembled population of the village in order to solve a dispute. Both the author and some observant members of the tribe are aware that these are simply elders dressed up in masks and paint; and yet these elders do mete out a pefectly reasonable form of justice. This potent scene reveals Achebe’s method and purpose. The “spirits” may be mummery, but they are still a force for tribal coherence – and that is what is destroyed by the colonisers. I have just been commenting on Chinua Achebe’s novel Things Fall Apart ; and as I often do when I have finished preparing my own “Something Old” commentaries, I went on line to see what others had to say about the work. I found some fair critiques, but I also struck one of those dreadful Amazon Books sites where people are encouraged to “review” and “rate” (stars out of five) a given book. Most of the comments on Things Fall Apart were very positive – four or five stars out of five – and had the sort of eulogistic comments that seem to have been encouraged by a high school English teacher. One long commentary gave the novel only one star, with the reviewer presenting a complex argument that the book was “too Western” and simplistic, implying that the reviewer knew more about the society depicted than the novelist did. But the one that really caught my eye gave a one-star rating and sarcastically set out the reader’s difficulty with the novel. Apart from telling us that the amateur reviewer had done Feminism 101, these comments were a classic case of missing the point of something. In Things Fall Apart, Chinua Achebe depicts carefully and in detail pre-colonial Igbo tribal society in Nigeria. Whether it appeals to the (modern, Western) reader or not, such society was built around male chieftainship and was therefore very patriarchal. The main character of the novel is indeed overbearing, assumes women are his servants, can be violent and measures his prowess in terms of being a hunter and a warrior. In other words, he is a representative figure of his time and society. To complain of the novel’s “mysogyny” is to complain of the norms of a society alien to the reader. One of the main strengths of Achebe’s approach is that he is able to condemn the European colonialisn that destroyed a cohesive, traditional society without idealising that traditional society. We are not being invited to like, approve of or emulate the main character’s attitudes. We are invited to see them in their historical context. The amateur reviewer brought her-or-his values to the book, proceeded to look no further than her-or-his values, and refused to concede the historical accuracy of Achebe’s account. There are, I think, two problems here. One is the tendency to label glibly the depiction of things of which we disapprove. How often one sees such labels as “racist”, “sexist”, “mysogynist” or “homophobic” applied to complex and worthwhile works of literature, on the basis of minor or incidental details that are far from the work’s main impact. Second, perhaps more pervasive, there is the naïve tendency to rate novels in terms of how much the reader “likes” characters. It is often the intention of a novelist to concentrate on unsympathetic or flawed characters – on anti-heroes rather than heroes. I recently saw a film version of Guy de Maupassant’s Bel Ami with somebody who disliked the film intensely because the title character was such a swine. To no avail was my argument that the character was meant to be seen as a swine because de Maupassant intended to satirise amoral arrivism. Embedded in this attitude is the desire to “identify” with characters, as the movies have endlessly encouraged us to do. This sort of identification is fine in works aimed at children, but very limiting if applied to literature for adults. If we read books only to identify with likeable main characters, we would never make the acquaintance of a practised con-woman like Becky Sharp, a psychopath like Raskolnikov, a deluded daydreamer like Emma Bovary or any number of other interesting protagonists. As for Okinkwo in Things Fall Apart, we do not have to share his values to understand his tragedy and the tragedy of his society. Whether dealing with the New Zealand military or with other armed forces, it is hard to regard the First World War favourably. After a century, the causes of that war have become obscure to us. The First World War has come to seem little more than the clash of rival empires. Small wonder that, in recent years, New Zealand’s best military historians have presented quite unvarnished and sometimes unflattering views of Allied officers and men in action between 1914 and 1918. See, for example, the works of Chris Pugsley, Andrew Macdonald’s First Day of the Somme (reviewed on this blog) and Glyn Harper’s Dark Journey. 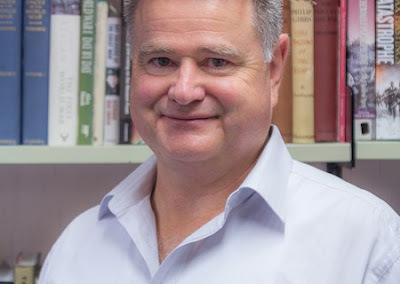 But as I’ve argued before (see the posting TheOne True Good War), the Second World War is usually held in popular memory as a fully justifiable war – the defeat of Nazism and Japanese militarism – and New Zealand’s role in it is esteemed. There have been some dissenters from this view, such as Stevan Eldred- Grigg with his self-satisfied book Phoney Wars (reviewed on this blog), which argued that New Zealand contributed little to the outcome of the war and should have stayed neutral anyway. Eldred-Grigg’s argument was so unpersuasive that his book seemed to have been written more to start arguments than to enlighten anyone. Yet given the generally anti-militarist views of modern New Zealand, and given fading memories, is there now a danger that the Allied cause in the Second World War will become under-esteemed? Being born long after the Second World War, I have no desire to see inflated patriotic myths revived. But I am concerned that the Second World War be remembered accurately, and that how it was fought is seen in relation to possibilities that then existed. Hence I welcome Glyn Harper’s The Battle for North Africa, which is subtitled “El Alamein and the Turning Point for World War II”. As a good military historian, Harper does not present a partisan account of the clash between Allied and Axis forces in North Africa, but rather presents as impartially as possible the story of how a series of major battles were fought. This is a work of corrective memory in the face of incipient historical amnesia. It is a welcome companion to the symposium book El Alamein and the Struggle for North Africa (reviewed on this blog) which Jill Edwards edited five years ago, and to which Glyn Harper contributed. What we generally call the Battle of El Alamein was in fact a series of three battles fought between July and October of 1942. 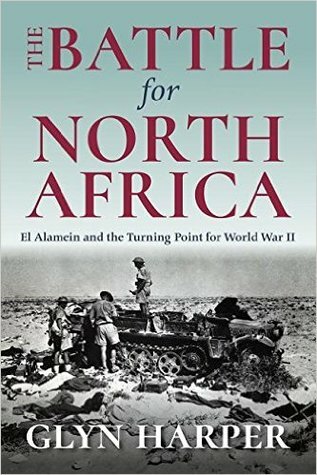 As Harper explains in his introduction and opening chapter (“Military Background”), in 1940 the British under Wavell had defeated Graziani’s Italian army in Libya; but in February 1941 Rommel’s Afrika Korps and Panzerarmee landed in North Africa and pushed British forces out of Libya and into Egypt. The thorn in Rommel’s side was Tobruk, defended by Australians, which he attempted to besiege. But Rommel was starved of resources (the RAF and British navy controlled enough of the Mediterranean to keep supplies from him) and he had to abandon the siege. The British were now on the defensive and what is known as the first Battle of El Alamein took place in July 1942. As well as a numerical advantage in manpower and materiel, the 8th Army had a great advantage in military intelligence, given that general staff were able to read de-crypted Ultra signals. In this battle, New Zealanders presented an effective counter-thrust to the Italian Ariete division, and Australians and South Africans routed the Italian Sabratha division. But even though this first Battle of El Alamein was technically an Allied victory, it resolved itself into a series of minor actions with neither side gaining great advantage. Auchinleck’s leadership was hesitant and erratic and he often lacked the confidence of his officers. He frequently berated infantry for, as he saw it, under-performing, and ignored that lack of coordination between armour and infantry that had been one cause of excessive New Zealand casualties at Ruweisat Ridge. And while this muddled battle was going on, anti-British Egyptian nationalists in Cairo were momently looking forward to being “liberated” by Rommel; and there was the big “flap” in which British officials and embassy staff burnt documents in the expectations of soon going into captivity. The measure of both Auchinleck’s frustration and his army’s low morale is that he seriously petitioned for the reinstatement of the death penalty (abolished in 1930) for desertion. Some of his subordinates (including New Zealand commander Bernard Freyberg) wrote “appreciations” of what had gone wrong, including arguments for the greater coordination of arms. Back in London, Churchill and Alan Brooke argued that there should be a “clean sweep” of 8th Army’s leadership. Churchill appointed General “Strafer” Gott to replace Auchinleck. Gott was not renowned for his skills as a leader. Perhaps fortunately, Gott died when the ‘plane he was travelling in, to take up his command, was shot down. So it was Bernard Law Montgomery who replaced Auchinleck. More decisive than Auchinleck, Montgomery ordered all plans for retreat to be destoyed. He faced his first trial in August 1942 when Rommel launched an offensive, generally known as the battle of Alam Halfa. Again the 8th Army was, at first, on the defensive. But Rommel was severely ill, he had lost contact with most of his sources of military intelligence and his offensive bogged down when his panzers ran out of fuel. After six days, the battle was over. This was the last Axis attempt to reach Cairo and it was again, technically, an Allied victory. But it was by no means a knock-out blow. There was no immediate attempt by the 8th Army to pursue Rommel’s foces and morale in the 8th Army remained low. At this point, I put in a personal observation. For whatever reason, Rommel’s reputation has remained high. There is a certain mystique about the man. 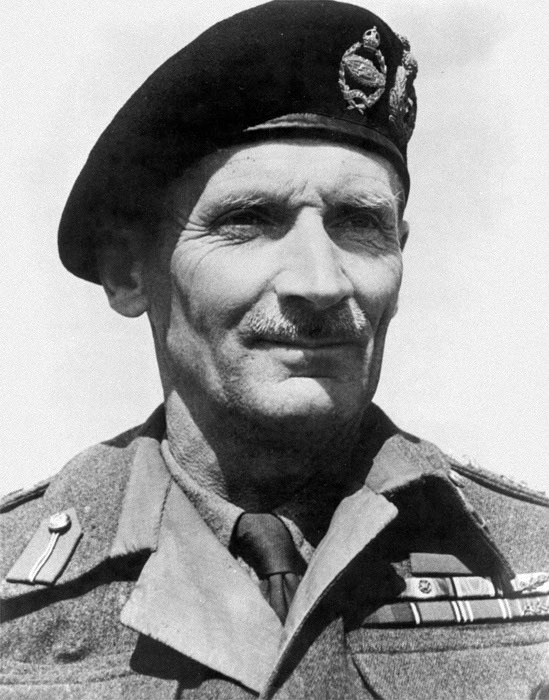 But Montgomery has aways seemed to me a less impressive figure and part of me always wondered whether his reputation had been built up by British propaganda. I therefore admit that my regard for him rose when I read Chapter 5 (“Preparation and Plans”) of Harper’s book. Churchill was anxious for a quick and decisive victory in North Africa – something to impress American allies as well as boosting home morale. He therefore nagged Montgomery about delivering such a victory and wanted him to prepare 8th Army for an offensive in September 1942. Montgomery would not be bullied. He stood his ground and insisted that such an offensive required massive preparation and would not be possible until October. 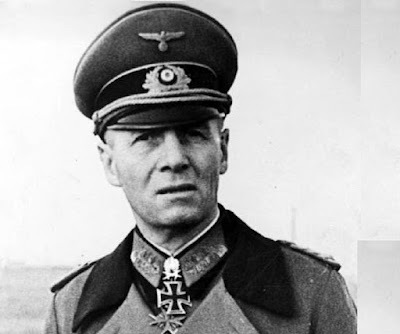 He then prepared the ground carefully – a rigorous programme of re-training troops, very extensive use of deception to lure Rommel into believing that the offensive would come from a direction other than the real one, and attempts to re-organise the use of armour. By this stage 8th Army had acquired American Grant and Sherman tanks, far superior to British-made tanks. Unfortunately in this matter Lt General Herbert Lumsden was very uncooperative and Montgomery’s effort to form a corps de chasse floundered. Effective pursuit of the enemy remained a weak point. By this stage, Rommel’s own preparations were entirely defensive. He had all German positions protected by large minefields and was at first optimistic about this defence. Even so, this was no easy battle for Montgomery and his army. It went on for twelve days (Harper calls his seventh chapter “Slugging It Out”) and there were again failures in the use of armour. New Zealand infantry and 9th Armoured Brigade made a major breach in enemy lines, with great loss of life, but the 1st Armoured Division was unwilling the exploit the breach. In spite of this, the Panzerarmee was pounded and – despite Hitler’s orders that he stand his ground – Rommel had no alternative but to withdraw 60 miles west. Churchill had the victory he wanted – the first British victory in the war against German-led troops. Panzerarmee was never again in a position to attack Egypt or reach the Suez Canal. Unfortunately, effective pursuit was again not forthcoming. This is the basis of most criticisms of Montgomery’s command. Weakened or not, Panzerarmee was still intact and the war in North Africa would continue for another 6 months until the end of the Tunisian campaign. He skewers a number of myths, including the idea that Italians were inferior soldiers to their German allies. In his introduction he notes: “The British Army at last showed it could beat the German Army in battle, even though that army had been made up largely of Italians.” (p.4) And: “While Rommel’s defeated Panzerarmee contained many Italian formations, it is a myth that these units did not fight well in North Africa in the Alamein battles.” (p.6) He proves this by recording (Chapter 8, p.230) that the Italians’ last armoured action, with much loss if life, gave the remaining Afrika Korps the chance to escape. As a densely written and closely detailed work of military history, The Battle for North Africa often requires patience and close attention in the reading. But it is a persuasive and convincing account of a major battle that has often been obscured by legend. If you make it your business to read the works of canonical novelists, you will soon discover one very interesting phenomenon. Often the novel of a particular author, which is esteemed most by the critics or the dedicated fans of that particular novelist, will not be the novel that is most loved by the mass of general readers. General readers of Charles Dickens will read David Copperfield, Nicholas Nickleby, Oliver Twist or A Tale of Two Cities in preference to Bleak House or even Great Expectations, which intellectual Dickensians see as Dickens’ greatest. Online recently I saw a group of Henry James aficionados (of whom I am generally not a member) singing the praises of the later-period James novel The Ambassadors. Most of us non-dedicated James readers would prefer to read Washington Square, The Portrait of a Lady, The Turn of the Screw, The Europeans, The Bostonians or The Aspern Papers. And so too it is with the polyglot Pole, Josef Teodor Konrad Nalecz Korzeniowski (1857-1924), who wrote as Joseph Conrad. As I’ve said a number of times before on this blog (look up posts on Victory, The Secret Agent, Under Western Eyes and Heart of Darkness), I went through a student phase of being a very committed Conradian. But, as with most general readers of Conrad, it was Lord Jim, The Secret Agent and Heart of Darkness that most attracted me. I’d heard that the best academic critics of Conrad regarded Nostromo as Conrad’s masterpiece; however, I’d also heard that Nostromo was a notoriously difficult novel, as well as being Conrad’s longest. And biographies of Conrad had told me that when Nostromo was first published it was, to the author’s grief, a commercial flop, hardly selling out the first edition and damned with faint praise by reviewers. So I put off reading it for many years. When finally I got to read Nostromo, I discovered two things. First, it really is a masterpiece. Second, there are good reasons why the general reader tends to shun it. This is a case where an attempted “plot summary” would be particularly fatuous. 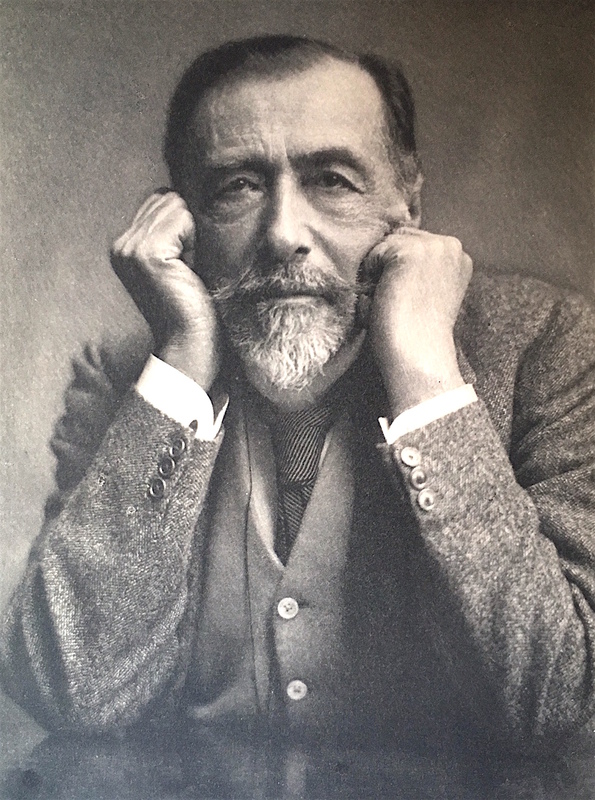 In an “Author’s Note” which he added to Nostromo in 1917 (thirteen years after the novel was first published) Joseph Conrad explained the events that were the germ of the novel’s inspiration. In a South American republic, a sailor had been able to take possession of a lighter (a small vessel used for transporting goods) filled with silver ingots, which he secreted and then furtively used over the years as a purse gradually to make himself rich. But if this was the reported action that inspired Conrad and set him writing, it is in no way the heart of the novel. The events concerning a lighter, silver ingots and hidden wealth are confined to the second half of the novel. More central to Nostromo is its panoramic depiction of a whole society. In Nostromo - over which he laboured for two years - Conrad creates the fictitious South American republic of Costaguana, conveying in detail its topography and climate and society and social classes and political tensions. This expansive feat of imagination is what is most praised by sympathetic critics – especially as Conrad had had only a brief, youthful glance at South America (at most, four days ashore in Venezuela many years before he wrote this novel) and understood the continent mainly through extensive reading. As I experience it, the first quarter of the novel (“The Silver of the Mine”) is like a long, slow establishing shot, introducing us to the land and landscape of Costaguana with much of Conrad’s signature detailed description, especially of the port of Sulaco where most of the action takes place, its hinterland mountains and its gulf of islands, the Golfo Placido. But more importantly, this first part introduces us to the large cast of characters, far larger than the dramatis personae of any other Conrad novel. Though none is caricatured, they can be categorised according to social type. Representing older-style industrialists, there is the wealthy Costaguanian-born English mine-owner Charles Gould and his wife Emily, usually known as Dona Emilia by the Spanish-speaking characters. Mrs Gould is highly idealised – critics have noted correctly Conrad’s tendency to idealise his sympathetic women characters. Charles Gould has the Concession that allows him to run the San Tome silver mine, which plays such a large part in the narrative. It also means he has many dealings with the English railway magnate, Sir John. Representing the newer breed of exploitative American capitalists there is the millionaire Holroyd. The exiled Italian republican and anti-clerical Giorgio Viola, a “Garibaldino”, lives as a humble store-keeper with his pious church-going wife Teresa and his two daughters Linda and Giselle. At the other end of the political and social spectrum is the old aristocratic Spanish gentleman Don Jose Avellanos, who pines for a more settled political regime and has a much-admired daughter Antonia (she is another idealised woman who, according to one biography, was based on a youthful love of Conrad’s). Some characters are not politically or socially minded, but they represent strongly-embedded values, such as the English Captain Joseph Mitchell, with his attachment to order, regularity and decency as he runs the wharves, the handling of cargoes and the operations of the Oceanic Steam Navigation Company. More saturnine than this man of order is the English Doctor Monygham, widely regarded as a schemer and misanthrope, though at a certain point in the novel (specifically Part 3, Chap. 4) we hear of traumatic events in his past that have made him that way. In his conversations with Mrs Gould, Monygham opposes Charles Gould’s naïve view that material progress alone will bring about improvement in the human condition. The most problematic character is Martin Decoud, a Costaguanian intellectual who has had a French education, regards himself as a progressive, runs a political newspaper and is filled with ideas for the improvement of the state. But as events in the novel are to prove, there is a hollow, nihilistic core to this man which is eventually very destructive. Not all of these characters are introduced in the novel’s first part, for Conrad’s leisurely exposition continues in the novel’s second part (“The Isabels” – referring to islands in the gulf) where we also hear of the bandit Hernandez, the clerical interests of the Catholic Church represented by the pliable Father Ramon and the more dedicated and intelligent senior cleric Father Corbelan, local government officials and military figures. It is in this second part that an ongoing revolutionary conflict in Costaguana is outlined. The “Blancos” (i.e. the older, more Hispanic, less “native” possessors) are at odds with the “Monterists”. A president called Ribiera, who himself overthrew a long-serving dictator, is in the process of being overthrown by General Montero, who has taken over Costaguana’s inland capital and is now sending his forces to take Sulaco. Which side other military figures will take (Generals Sotillo and Barrios) hangs in the balance for some time, and there are some betrayals and some horse-trading. To the European and American interests in Sulaco, the big question is who will control the San Tome silver mine, which is the principal source of wealth for the western province in which it lies. As this complex psychological and political scene is laid out, it is Joseph Conrad’s acute analyses of characters that most hold the attention. Conrad was critical and sceptical without being a cynic. However negative he may appear to be about some of his own characters, he is never dismissive of them. Of the director of the mine Charles Gould, he notes “Action is consolatory. It is the enemy of thought and the friend of flattering illusions. Only in the conduct of our action can we find the sense of mastery over the Fates.” (Part 1, Chap. 6) He is, in effect, showing Gould to be a man who can find himself only in the “illusion” (one of Conrad’s favourite words) that he is in charge of affairs, when in reality he is dominated by circumstances beyond his control (including the remembered influence of his father). The American investor and millionaire Holroyd is described as having “the temperament of a Puritan and an insatiable imagination of conquest.” (Part 1, Chap. 6), a succinct description of the evangelical zeal with which markets are pursued and developed in an expansive capitalist economy. Captain Mitchell is very much a minor character, yet he is analysed with the same care as the more essential characters. Late in the novel, the stuffy Mitchell’s character is dramatised when he is threatened by revolutionary soldiers, but faces up to them impeturbably and insists that they return to him his presentation pocket watch, which they have filched. Conrad remarks: “The old sailor, with all his small weaknesses and absurdities, was constitutionally incapable of entertaining for any length of time a fear of his personal safety. It was not so much firmness of soul as the lack of a certain kind of imagination… that sort of imagination which adds the blind terror of bodily suffering and of death… to all the other apprehensions on which the sense of one’s existence is based.” (Part 3, Chap. 2) The secret of Mitchell’s steadfastness is his lack of imagination. This is like a negative image of Conrad’s Lord Jim who, when a storm struck his ship, had too much imagination, deserted his post and became a coward. Not having an imagination may be the key to physical courage. Upon Martin Decoud, Conrad makes many judgements. We are warned well before the novel’s mid-point that Decoud had “a Frenchified – but most un-French – cosmopolitanism, in reality a mere barren indifferentism posing as intellectual superiority.” (Part 2, Chap. 3) There is something of the dandy and the dilettante to this man who believes himself to be a progressive liberal. Most tellingly, Decoud has no real sense of solidarity with his fellow human beings (that “fidelity” about which Conrad often wrote). Late in the novel, Decoud suffers a complete moral collapse [I will not give the plot details] when he is left, in solitude, to his own mental resources and without other people to impress and influence: “He had recognised no other virtue than intelligence, and had erected passions into duties. Both his intelligence and his passion were swallowed up easily in the great unbroken solitude of waiting without faith…. His sadness was the sadness of a sceptical mind. He beheld the universe as a succession of incomprehensible images… all exertion seemed senseless.” (Part 3, Chap. 10) I should add, however, that many commentators (notably C. B. Cox) have noted how much Conrad identifies with Decoud’s scepticism, which may represent an element of Conrad’s own psyche that he himself rigorously suppressed. Only towards the end of Part 2, and then in the long third (and final) part of the novel (“The Lighthouse”) do we begin to see Nostromo in close-up, have his moral character analysed, and accept him as a rounded human being. In the long Chapter 7 of Part 2, Nostromo and Decoud are together at sea on the small lighter that is carrying silver ingots away from potential capture by revolutionary rebels. In this chapter the tone of the novel changes considerably. It is as if, stripped of other human company, the real selves of both Nostromo and Decoud are revealed. Decoud remains the opportunist with dreams of leadership. In contrast, Nostromo has a strong sense of his duty to others. We already know this from earlier in the novel when we hear of his service to his employers and his care for the workmen he commands. But, though he himself is an unbeliever and an anti-clerical, we now hear of his pangs of conscience about his failure to summon a priest for a dying woman (Teresa Viola, the “Garibaldino” Giorgio Viola’s wife). Unlike Decoud, he understands that he has to keep promises, live in solidarity with others and observe “fidelity”. Conrad makes his analysis of Nostromo particularly layered, because Nostromo is characterised mainly through the words and observations of the very flawed Decoud. The dilettante’s view is that Nostromo is driven by vanity and the desire for public approval: “Decoud, incorrigible in his scepticism, reflected, not cynically, but with general satisfaction, that this man was made incorruptible by his enormous vanity, that finest form of egoism which can take on the aspect of every virtue.” (Part 2, Chap. 7) Decoud has no concept of what Nostromo, who is in no way an intellectual, would probably call “honour”. The morality of this novel is indeed complex, and not as simplistic as the dichotomy of opportunism and “honour” that I have suggested here. Nostromo is a sympathetic character and does emerge as the human embodiment of a fraught historical and political situation. BUT (remember we are reading Conrad here) where this character goes – in the closing sections of the novel which I will not relate here, as you might want to discover them for yourself – is not exactly where you expect him to go. Conrad’s scepticism leads him to question even a man of probity and “honour”, and to tell us that even such a man can be radically flawed. He is indeed representative of us – nostro uomo, “one of us”. It could be that his “honour”, his desire to be admired by others and have a sound public reputation, is indeed a form of vanity. As one nears the novel’s end, one also questions how much Nostromo has been “used” by other less scrupulous people. In keeping the stevedores and longshoremen in order, has he merely been underpinning an unjust economic order? Is personal “honour” something that can be exploited? Indeed, has Conrad deliberately led us to thorough disillusion in this man, who could be seen as anti-hero rather than hero? And there is another major consideration. Despite the novel’s title, is Nostromo really the novel’s protagonist? All indications are that Joseph Conrad himself saw “the silver of the mine” as the unifying force in the novel rather than any human character. In one major sense, the novel pivots on how its leading characters – the industrialist Gould, the intellectual Decoud, and the man-of-the-people Nostromo – react to, or are corrupted and deformed by, the silver. Silver is the novel’s “material fact” and Conrad makes sure silver is somehow mentioned as often as possible. Nearly every description of Nostromo himself includes the word “silver”. One other way of considering this novel is as purely political commentary. 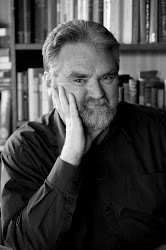 As in (the later) The Secret Agent and Under Western Eyes and (the earlier) Heart of Darkness, Conrad is in large part concerned with issues of politics, the use of violence, colonialism and economic exploitation. There are passages in the novel that could almost be said to be prophetic, in that they anticipate major destructive trends in 20th century history. To European and North American non-indigenous interests, Costaguana is an under-developed country just waiting to be modernised, and its conflicts are merely the incoherent eruptions of a failed state. The peasants on the hinterland Campo live with “oppression, inefficiency, fatuous methods, treachery, and savage brutality”(Part 1, Chap. 8). When that very unreliable narrator Martin Decoud discusses the situation of the “Blancos” and the “Monterists” with Mrs Gould, he says of his country “We convulsed a continent for our independence only to become the passive prey of a democratic parody, the helpless victims of scoundrels and cut-throats, our institutions a mockery, our laws a farce.” (Part 2, Chap. 4) The independent states of South America are the shattered remains of the old Spanish Empire, which have never settled to true statehood. The old (Spanish) imperialism is now in the process of being replaced by the new (capitalist) imperialism. In a letter, Decoud gives his view of the millionaire American investor Holroyd: “as long as the treasure flowed north, without a break, that utter sentimentalist, Holroyd, would not drop his idea of introducing, not only justice, industry, peace to the benighted continents, but also that pet dream of his of a purer form of Christianity.” (Part 2, Chap. 7) Mrs Gould has already remarked of Holroyd that “his sense of religion… was shocked and disgusted at the tawdriness of the dressed-up saints in the cathedral… But it seemed to me that he looked upon his own God as a sort of influential partner, who gets his share of profits in the endowment of churches. That’s a sort of idolatry. He told me he endowed churches every year…” (Part 1, Chap.6) One immediately thinks of the United States’ interventions – for its own profit – in Central and South America throughout the 20th century, and vigorous American attempts to Protestantize South America, Protestantism (with its individualisation of Christianity) being far more amenable to capitalism and the profit motive than the more collectivist Catholicism. Festering in the Costaguanian revolution are ideas that would later exert huge influence in the world. Pedrito Montero, one of the “revolutionaries” trying to overthrow the “Blanco” regime, believes “that the highest expression of democracy was Caesarism: the imperial rule based upon the direct popular vote. Caesarism was conservative. It was strong. It recognised the legitimate needs of democracy which requires orders, titles and distinctions. They would be showered on deserving men. Caesarism was peace. It was progressive. It secured the prosperity of the country….. Look at what the Second Empire had done for France…” (Part 3, Chap. 7) As more than one historian has observed, Napoleon III, head of France’s Second Empire, was really the prototype of modern dictatorship – the populist who operated behind a veneer of democracy and made great play of appealing to the “people”, especially through referenda. In many respects, he was the curtain-raiser for Fascism, which is really what Pedrito Montano aspires to. Roll on Juan Peron and a few dozen other South American despots with a populist appeal. If economic imperialism eats up exploited states, it also corrupts, morally, the exploiters. This, surely, is one of the main points of Heart of Darkness, especially in its depiction of Kurtz. In Nostromo, Mrs Gould eventually realises that economic imperialism has morally destroyed Charles Gould: “she saw clearly … the San Tome mine possessing, consuming, burning up the life of the last of the Costaguana Goulds; mastering the energetic spirit of the son as it had mastered the lamentable weakness of the father.” (Part 3, Chap. 11) To control such an asset is to be controlled by it, as the silver mine is the “material fact” that corrupts a society. Yanqui imperialism, proto-Fascism and the moral corruption of economic exploitation are all perceived in Nostromo; and so are the very methods by which imperial exploitation works. To “solve” the problem of Costaguana’s revolution, Martin Decoud comes up with the idea of the “separation of the whole Occidental Province from the rest of the unquiet body… The richest, the most fertile part of this land may be saved from anarchy.” (Part 2, Chap. 6) In other words, that part of Costaguana which has the richest resources may – for the convenience of those who wish to exploit it – be separated from the (less resource-rich) rest of the country. This is the political plan that, with American backing, is carried through in Nostromo; reminding one at once of Britain’s later separation of oil-rich Kuwait from the rest of Mesopotamia (now Iraq). Conrad had a more immediate model for this manoeuvre when he wrote Nostromo, however. The year before the novel was published, the United States broke treaties it had made with Colombia and openly backed rebels who set up the breakaway state of Panama, from which the United States extracted the “Canal Zone”, enabling it to control the Panama Canal. It is noteworthy that in 2007 the young Colombian novelist Juan Gabriel Vasquez wrote a novel, The Secret History of Costaguana, which basically indicts Joseph Conrad for fictionalising these real events, and substituting a silver mine for a canal. 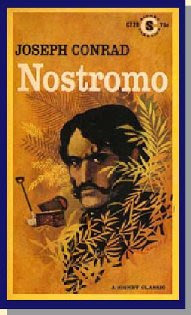 Despite this, reference books tell me that Nostromo is now widely read and admired in Latin America for its political acumen, even if Latin American readers are bemused by the way the descriptive details of the novel sometimes jumble together cultural and ethnogaphic details from a number of different (real) Latin American countries. 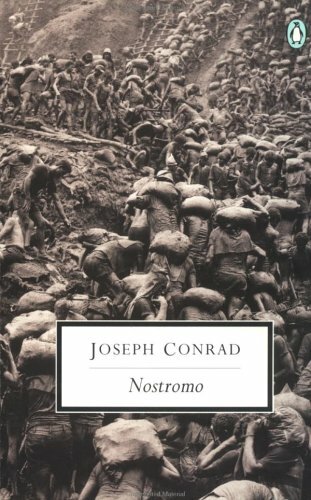 Descriptiveness, penetrating psychological insights and an important political subtext – these features of Nostromo could be said to characterise all Conrad’s best work. So could the novel’s narrative technique. We are again in the Conradian territory of a “cloud of witnesses” and a number of unreliable narrators. I have on my shelf a simple “reader’s guide” to Conrad’s works published in the 1950s, in which one Oliver Warner claims of Nostromo that it is a straightforward third-person narrative and that “No narrator or intermediary distracts from the directness of what he [Conrad] narrates.” Nonsense! In the first place place, although the novel is indeed written in the apparently omniscient third-person, we switch from viewpoint to viewpoint as Conrad analyses many characters’ thoughts and impulses. Then there is the fact that other voices do take over much of the narrative. In Part 2, Chapter 7 we have the text of a very long letter written by Martin Decoud, basically giving his cynical view of how political events are developing. Conrad also often uses the device of long, expository conversations, again giving a character’s viewpoint. In Part 3, Chapter 10, it is Captain Mitchell’s inane and conventional conversation which tells us what the outcome of Costaguana’s “revolution” has been. In Part 3, Chapter 11 we learn of developments in Nostromo’s life through a long conversation which Dr Moynigham has with Mrs Gould. We also note that (as, most obviously, in The Secret Agent), the order of events in the novel is not strictly chronological. Some outcomes made plain early in the novel are not fully explicated until much later. To give one bizarre example of a shuffling of events – in Part 3, Chapter 8, there is a painful scene where Nostromo and Dr Monygham converse in the presence of the corpse of a minor character (the trader of hides, Hirsch) who has been tortured and hanged by revolutionary soldiers. Only in the following chapter, Part 3, Chapter 9, do we have the narrative of Hirsch’s death. 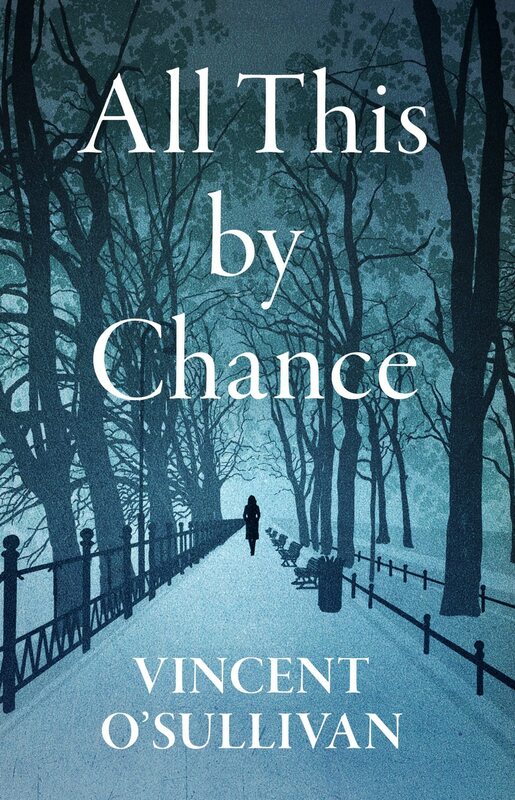 I could not finish an analysis of this great novel without mention of the dominant mood of melancholy that it creates – a typically Conradian melancholy. Much of it depends on Conrad’s underlying sense of the vanity of human wishes and the small impact of human effort upon a vast and indifferent universe. When I read such a sentence as “Men ploughed with wooden ploughs and yoked oxen, small in a boundless expanse, as if attacking immensity itself.” (Part 1, Chap. 6); I am at once reminded of Conrad’s image of the French warship shooting into the immensity of the African continent in Heart of Darkness. Both images suggest an ultimate pointlessness to human endeavour. Where Nostromo is concerned, this relates also to the novel’s political ideas. Conrad was no Utopian. He did not believe that revolutions, changes of government or progressive ideas would alter the essential human condition. One plausible reading of Nostromo is that it tells us plans concocted even with the best of intentions will go astray; that (as T.S.Eliot put it) “history at all times draws / the strangest consequence from remotest cause”; or (as Allen Curnow put it) “to make out our tomorrow from its motives / Is pure guessing, yesterday’s were so mixed”. Of course this view of history is highly inimical to Marxists, who live with the delusion that a comprehensible and progressive pattern may be discerned in history. For this very reason, at least some Marxist critics (such as Arnold Kettle) have produced negative and very reductionist critiques of Nostromo, berating Conrad for using the term “material interests” rather than “imperialism” and claiming that he is avoiding a real analysis of Costaguana’s situation. Given that the novel is one of the clearest indictments of imperialism in the language, it is hard to see much merit in this claim. For me, this opinion is especially valid for the closing chapters of Nostromo. Once again, carefully avoiding making a synopsis [you may want to discover how it turns out for yourself], I understand fully the carefully-wrought symbolism of the lighthouse and the hidden treasure. But the last thirty-or-so pages of the novel plunge us into irredeemable melodrama of a very old-fashioned sort. This is true even when we know that (according to Conrad’s 1917 preface) these pages incorporate the anecdote that was Conrad’s first inspiration – the grit in the oyster that made the pearl. Please understand my audacity in stating this. After all, the revered critic Walter Allen said in his The English Novel (as quoted on the back cover of my old Penguin copy of Nostromo), that, of Conrad’s novels “Nostromo is undoubtedly the finest; a good case could be made out for considering it the greatest novel in English of this century. It represents a remarkable extension of Conrad’s genius”. Apparently F. Scott Fitzgerald once said he would rather have written Nostromo than any of his own works or any other novel he could think of. Those who admire this as a truly great novel are many – and I am one of them. But there is still that clunk of melodrama in the novel’s ending. To revert to what I said at the beginning of this notice, however, it is not the melodrama that is likely to have put off the general reader. It is the very depth and density of the novel’s portrait of its fictitious South American republic. It is the leisurely way in which the novel unfolds - the very delayed fuse before the final explosions – and the time sequence that deliberately defies chronology. This is not a novel that can be hurried over and it is not a novel that presents a straightforward and simplified morality. In other words, masterpiece or not, it is not the sort of novel to attract the mass readership. And it is approximately seven times as long as Heart of Darkness. Eccentric and largely silly footnotes: Three mildly interesting things related to Nostromo. (2.) I admit that when he nods, Conrad can go all purty in his descriptions, as when (in one of the novel’s most vivid and iconic sequences) Decoud and Nostromo are together at sea in the small lighter. “A great recrudescence of obscurity embraced the boat” (Part 2, Chap. 7), says Conrad. I think he means “The boat became invisible in yet more darkness”. (3.) Nostromo, being totally unfilmable, has had the good fortune never to be made as a film for the cinema, although the English director David Lean did spend years pondering a film adaptation (at different times collaborating on scripts with Christopher Hampton and Robert Bolt). What resulted was what the IMBd website calls “probably one of the most celebrated scripts never to be filmed” because, for a huge variety of reasons, the film was never made. What was made by other people (in 1996-97) was a 4-part TV series, with a limp and unpersuasive Claudio Amendola as Nostromo, Lothaire Bluteau as Martin Decoud, Claudia Cardinale as Teresa Viola and English stalwarts such as Colin Firth as Charles Gould, Albert Finney as Dr Monygham and Paul Brooke as Captain Mitchell. Gentle reader, if you want a bare synopsis of the novel’s external action, then this series is adequate. But that is all it is. If you want to taste Conrad’s ideas and style, then the TV series is ridiculous.